Not long at all now but things are coming along nicely!! Training is all going well and you’ll see me out with the trailer attached (see photo) as I career round the lanes of Essex. In an effort to replicate the weight I’ve raided our bookshelves and added approx. 10kg of books!! I’ve also sorted out my riding position which is now pretty comfortable and I can ride for significant amounts of time without any position related aches. In terms of the ride my aim is to ride at an average at around 12.5 mph which will allow me to cover 100 miles with 8hrs of riding time. Currently I’m riding at about 2 mph above that which is very encouraging as I’m finding it to be a comfortable speed. This affords some space for manoeuvre particularly when there are hilly days of which there are a few!! I’m looking at 2 and a half weeks of fairly full on training followed by a week or so of more minimal training in order to give my body time to rest and recuperate a bit before heading out on the 5th! As you can see from the tab above I’ve now got a route in mind which should be pretty close to what actually happens, It works out at 1395 miles on the maps which is pretty close to my estimated distance. It also takes in a little detour to the Mediterranean coast just to the south of my final destination at Jon and Emma’s. I thought it’d be well worth a quick detour!! Next job, aside from training, is to print out maps and route directions in a pocket sized and laminated form. I’m hoping that this will allow me to manage the route quickly on the go without getting lost. Sat nav on my phone isn’t really practical as the battery runs down very quickly and anything else that might do the job is super expensive!! I am aiming to track the rides each day with the map my ride app which is a little more battery friendly. With a little luck also anybody who is interested can register with map my ride, add me as a friend and see real time tracking of my position. This is subject to being able to sort out a data plan that isn’t too expensive though!! Other practical things to sort are a small and lightweight tent and possibly something to cook with. I’m aiming to camp as much as possible to keep costs down but also I need to keep kit as light as I can! Hence the stuff I take with me will be fairly minimal and hopefully weigh less than the books I’m currently dragging round. Once done then I’m all set and ready to go! I think nervous excitement would describe my feelings currently. 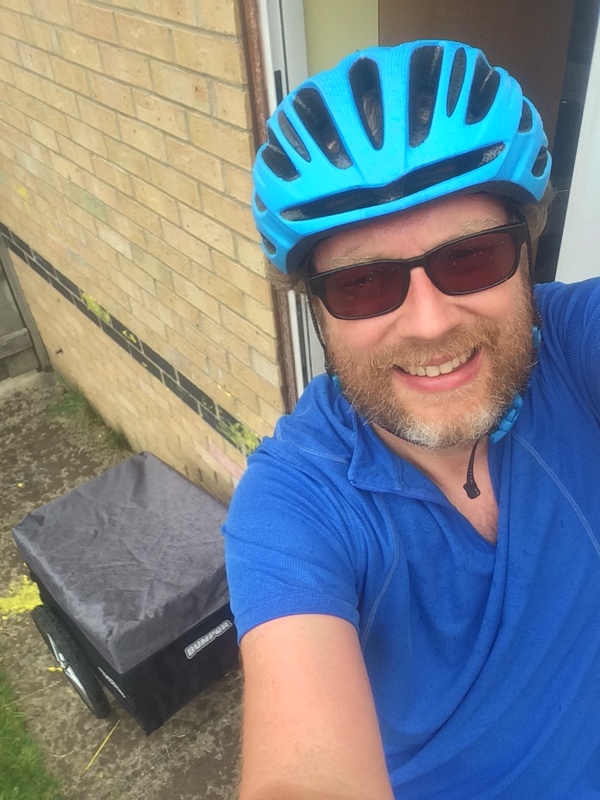 I feel that my body is ready for it and up to the challenge but also recognise that its a very long way to cycle in a short time and doing 100 miles ish day in day out for 2-3 weeks is no small matter. I’ll post here and on social media regularly through the whole trip and would be super grateful for your prayers and support as I head along the way. I’d also love to interact with you and answer/discuss any questions, thoughts, advice etc that you might have! !